Hayley's Paper Garden: Technique Time Tuesday TIME! Sorry for the delay with today's post I was having blogger issues this morning and then had to rush off to the dentist! Moving right along this week with some more retiring goodies... 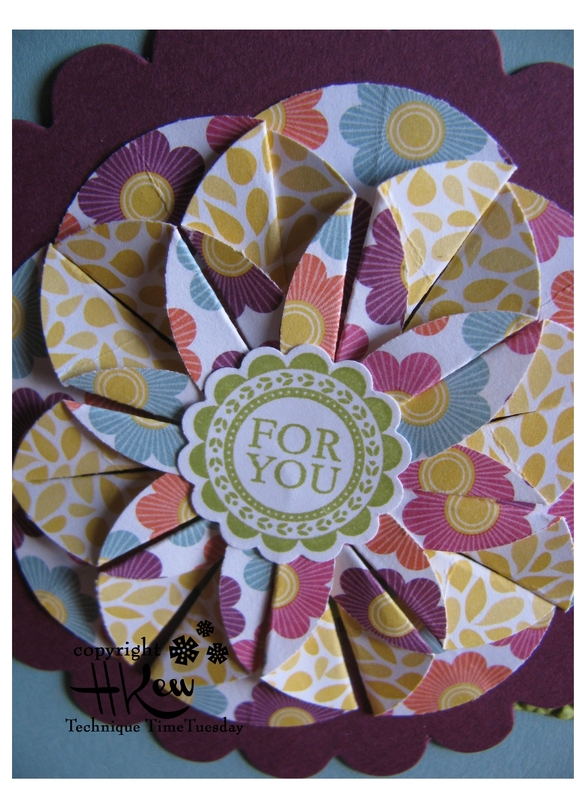 Here is my Technique Time Tuesday card for the month :) Our technique this month is the beautiful Dahlia Flower Fold. We hope you will stop by and show us what you can do! Another fabulous prize to be awarded this month to the lovely crafter who rocks the Dahlia! Very nicely done. So glad I found the Technique Tuesday Challenge blog. I enjoyed doing this fold again. 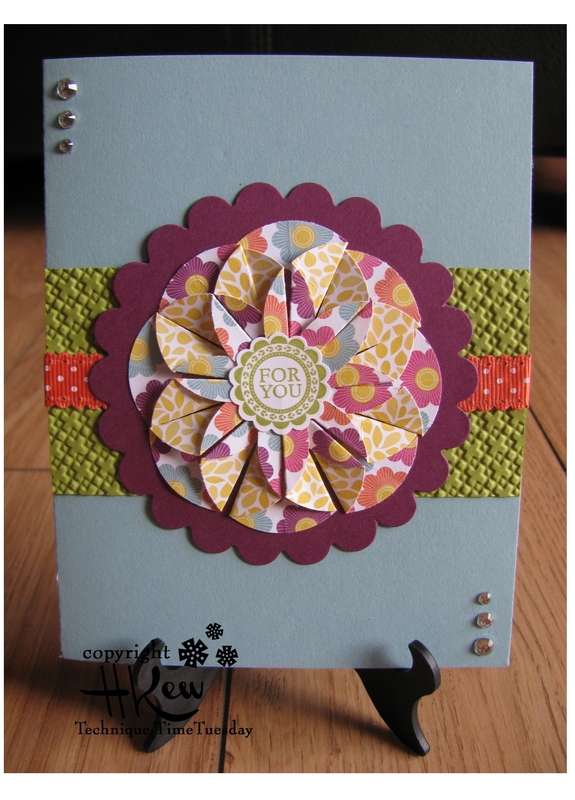 The tutorial was great...and thank you for the nice comments you left on my blog...You make lovely cards.